河野和彦：痴呆患者に対するThe Clock Drawing Testの新しい採点法とその有用性について。老化と疾患　7(12):1875-1885,1994. K.Kono et al. : Comparative study of cerebral ventricular dilation and cognitive function in patients with Alzheimer's disease of early versus late onset. J Geriatr Psychiat Neurol 6: 39-45, 1993. K.Yamada, K.Kono et al. : Decreased interleukin-6 level in the cerebrospinal fluid of patients with Alzheimer-type dementia. Neuroscience Letters 186: 219-221, 1995. 河野和彦：Watershed infarctと痴呆。Dementia　10(1): 29-40, 1996. 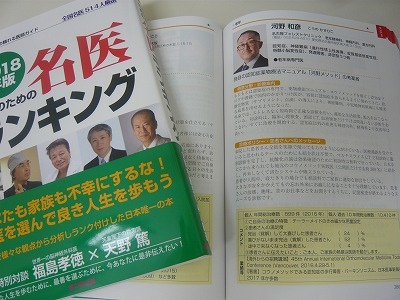 Copyright © 2009 名古屋フォレストクリニック All Rights Reserved.